What is the UK's Best Poker League? The British Poker Awards doesn't just pay tribute to the biggest stars of the game. The 2014 Awards will once again honour the all-important grassroots players with the public able to vote for the UK's Best Poker League. This hugely competitive category has been won by three different leagues over the past four years so it's all to play for this time around. Reigning champions Redtooth Poker will be hoping to see off the challenges from fellow nominees Betfred Pub Poker League, Champions Poker League, Discover Poker League and Live Pub Poker League. "While they might not get the television coverage like the larger tournaments seen all over the UK, poker leagues are important in continuing the development of the game at all levels," said Michael Caselli, editor-in-chief of Bluff Europe. "All five of this year's nominees have played a significant role in giving people a friendly environment to play poker and learn the game at their own pace." In addition to the Best Poker League, 15 other awards will be handed out at the swanky ceremony in central London on 23 February 2015. A distinguished panel of experienced poker journalists including CalvinAyre.com's Lee Davy, PokerNews.com's Matthew Pitt and PokerStrategy.com's Barry Carter, along with RankingHero's Nicolas Levi, Late Night Poker creator Nic Szeremeta and ‘Voice of Poker’ Jesse May have created the shortlists for the 2014 Awards. Voting is open until 31 December 2014. 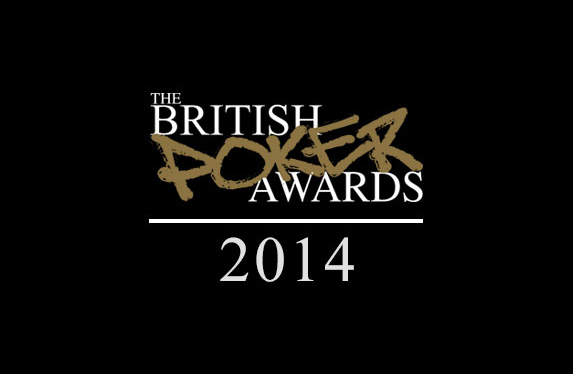 Be sure to have your say by visiting TheBritishPokerAwards.com.